ResMed (NYSE: RMD, ASX: RMD) today announced the hire of its first chief technology officer (CTO), Bobby Ghoshal, effective today. As CTO, Ghoshal will lead ResMed’s global healthcare informatics and data analytics team to drive its world-leading cloud-based digital health platforms as well as investments in emerging health technologies like artificial intelligence and machine learning. Ghoshal has more than 25 years’ experience in information technology, semiconductor innovation, digital strategy, information security, advanced analytics, operations and customer care. Since 2016, Ghoshal has been chief operating officer at Brightree, a ResMed-owned provider of cloud-based software-as-a-service for out-of-hospital care. From 2012 to 2016, he was vice president of information technology at ResMed. Previously, Ghoshal worked in a number of management and technical roles in the semiconductor and financial industries. 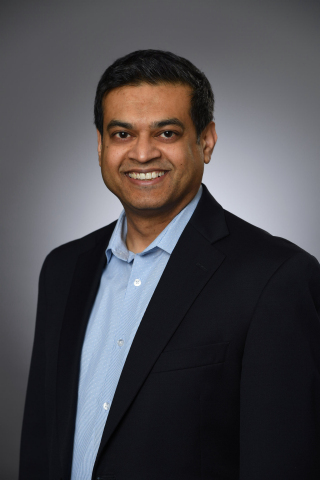 “I’m excited to lead ResMed’s extraordinary healthcare informatics team to help drive the value of connected health, leveraging the power of technology and data for the hundreds of millions of people who suffer from sleep apnea, COPD, and related chronic diseases worldwide,” said Ghoshal. ResMed’s Healthcare Informatics team had been led by Raj Sodhi, current president of ResMed’s software-as-a-service businesses, pioneering out-of-hospital software growth globally.